We’ve all integrated music into our lives. Whether you like jamming to your music while you clean, in the background during a party, or listing to your favourite playlist while on the go, these wireless speakers and headphones will improve your listening experience. The cylinder design means you can put this speaker anywhere in room and get the same quality of sound. The speaker fills a space as large as a dance floor with minimal sound degradation. Plus, it’s waterproof. 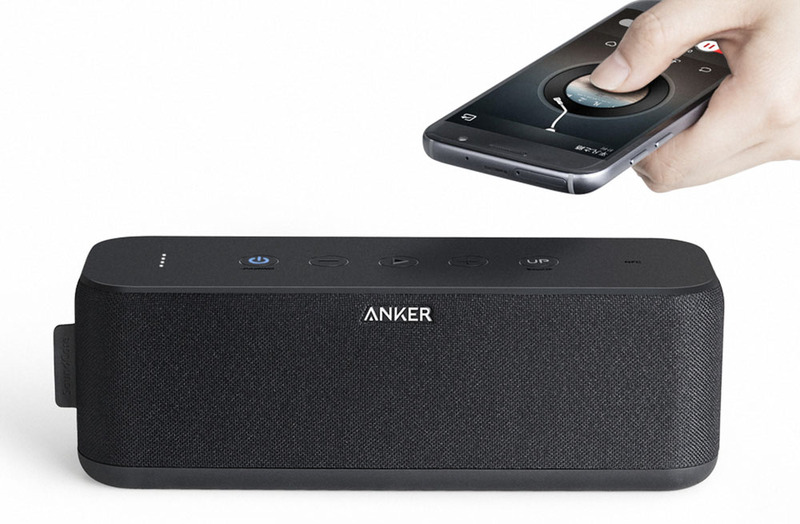 Another speaker from Anker, This compact device packs in a lot of sound. The base boost – which you can toggle on or off by pressing the “Up” button – gives your audio that extra depth without drowning out the treble and mid-sounds. This is a good portable speaker for people who love music with texture and detail. What sets it apart those is its ‘dual connect’ party mode – you can synchronize a pair of speakers if you need to fill a room for a party. These noise-cancelling wireless earbuds provide quality sound that only needs half the volume of your run-of-the-mill earbuds. The customizable tips mean you can listen to your music in comfort. While these appear to be similar to the SoundBuds above, they’re not. Designed for athletes, magnets in the earbuds, a rotating shirt clip and adjustable wire make it easy to keep these around your neck as you exercise. Plus, they’re sweat resistant. Noise isolation means these are designed to tune out ambient noise so that you can hear every detail of your music. Use this for your commute as you listen to your music; or plug them in when you’re recording for your in-ear monitoring. Combination of earbuds and headphones, these use Fluxor and Planar magnets to get their unique (and ear-drum shattering) sound. These ear-buds-from-outer space have a broad soundstage and outstanding range, from deep sub-bass to high-end treble.